The Club Caleta Dorada, also known as VIP Villas Caleta Dorada, is a perfect destination to spend your summer vacation as a family. Located close to the beach, the property offers beautiful views of the crystal clear waters of the North Atlantic Ocean. 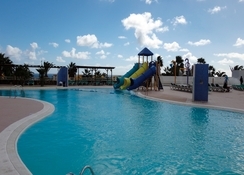 Here, you get to choose from three lovely pools to relax in; children too have separate pools. Check out the fitness centre, restaurants and a host of other amenities during your stay here. The atmosphere is welcoming and the facilities are plentiful with family rooms and apartments called 'bungalows' and a huge choice of room types, board types and activities. This modern resort has all the mod cons you would expect. The hotel is within walking distance from the beach and nearby attractions. With 294 well-appointed rooms, delicious a la carte buffet restaurant menus and poolside bar, this hotel offers an unforgettable experience to families looking for some relaxed fun in the sun. 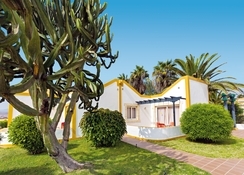 The VIP Villas Caleta Dorada enjoys a fabulous location in Castillo Caleta de Fuste, Las Palmas, Spain. The fabulous sandy beach is just five-minutes' walk away. It is also a short drive from Fustes. The Fuerteventura airport is only 8.8km, while the Dunas de Corralejo National Park with its spectacular sand dunes is about 55km from the property. With 294 well-appointed guestrooms in spacious 'bungalow' blocks, the hotel has accommodations to suit every budget. There are rooms in two categories namely Bungalow (one bedroom) and Bungalow (two bedrooms). The bungalow (one bedroom) features a living room with a sofa bed, a bedroom, kitchenette, bathroom, satellite TV, telephone, safe and much more. The Bungalow (two bedrooms) features a living room, two bedrooms, kitchenette, bathroom or shower/toilet, satellite TV, telephone, safe and much more. There are either twin beds or double beds in the rooms. 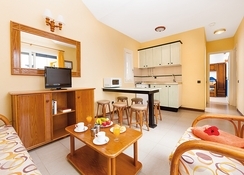 Every room is furnished with satellite TV (additional charge), mini fridge, Wi-Fi connection, private bathroom, kitchenette and sofas. The hotel features an exceptional restaurant and two bars serving delicious cocktails. 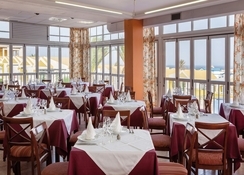 Guests can take advantage of the all-inclusive package that includes buffet breakfast, lunch, snacks, dinner and selected local alcoholic and non-alcoholic drinks. For lunch and dinner guests have a la carte and buffet options. For drinks, the poolside bar is open until 6pm and the indoor bar until midnight. The hotel has plenty of sports and leisure facilities for adults and children that include three adult-only swimming pools, three children’s pools, sun loungers (upon availability), a playground, mini club (all-inclusive, for 4 -12 year olds), mini disco, soccer (only with all-inclusive offer); squash (only with all-inclusive offer); table tennis (only with all-inclusive offer). Golf lovers can tee off to the Fuerteventura Golf Club, which is only five minutes’ drive away. Absolutely brilliant hoiliday, myself and my wife spent a week at the Club Caleta Dorada, first holiday we have had in 24 years without the children. Accommodation was excellent, and we went all inclusive and the food options were great at every meal. Also a fantastic atmosphere, and only a nice short walk to a beautiful beach. Although we have not been in this type of accommodation before it was very satisfactory with all amenities close to hand. A fifteen minute stroll to the main shops ,harbour and beach. The usual market was good. Decent food, location and amenities. Short walk to the beaches, all good. A lovely relaxing holiday. The evening entertainment was mainly for small children, not suitable for teenagers. Food was good and staff were very friendly. Went to this hotel in Spring 2017, great location. Was all inclusive but apartment was pretty basic. Pool was very close by with a bar and hot and cold snacks, only certain beverages were included on the all inclusuve list. Restaurants were literally down the street and the breakfast, lunch and dinner that was laid on each day was fab. Such a variety of hot and cold food, drinks and desserts too, a buffet style lay out but pancakes etc were cooked fresh. Great people in the reception area, very helpful. 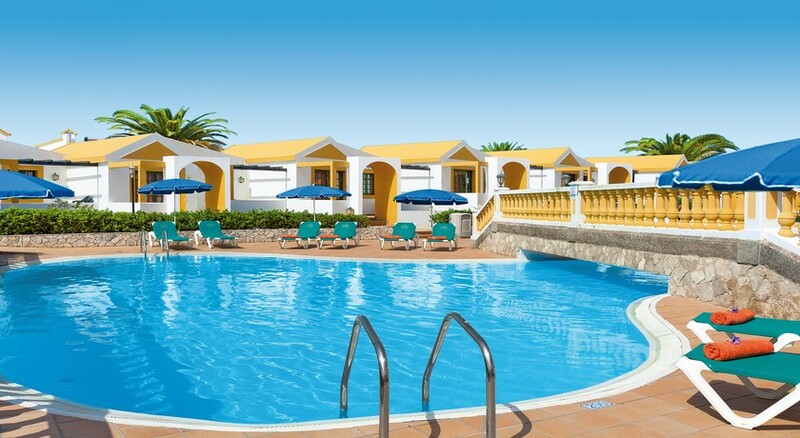 Basic clean accommodation, choice of pools, good variety of food.